With so many aesthetic treatments out here, it is not easy to choose the ideal treatment that suits you. 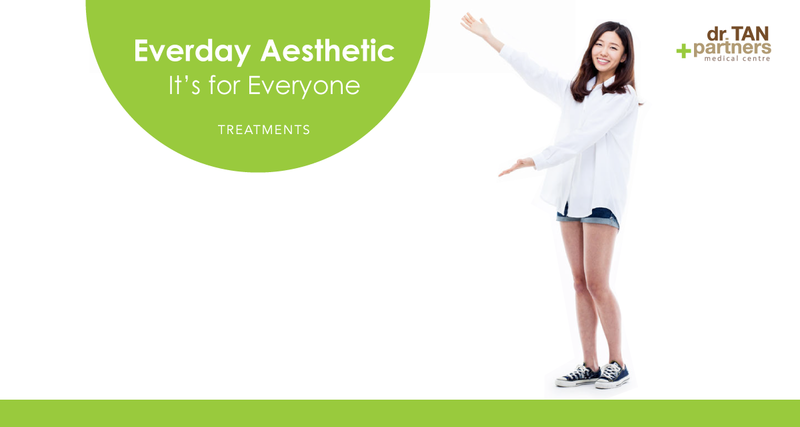 At S Aesthetics Clinic, we understand what you need and what you desire most. A list of popular treatment is essential to give you a head start. Have you ever wondered why Korean and Taiwanese actors and actresses have such smooth, toned and radiant facial skin? The answer is simple - Skin Boosters, or commonly known as 水光针or collagen injection. Skin boosters contain hyaluronic acid, a vital secret ingredient to smooth and youthful skin! This treatment is so popular for many good reasons. Rejuran Healer is the latest anti-ageing treatment from Korea! Defy ageing process and age beautifully. This is what Botox® does. And this is why face slimming Botox® treatment is so popular among our clients. With years of experience, we can help you lift and slim your face with our unique Botox® injection technique. Coupled with a chin filler, we can help you achieve a slimmed V shaped face. Come in and discover the secret to a youthful and natural look. Let our experienced doctors assess your face to give you the ideal outcome from the treatment. Prominent acne scars make your facial texture appear uneven and unattractive. Our uniquely formulated acne scars treatment regime is a holistic approach to treating and improving acne scars. Dark eye circles, eye bags and wrinkles around your eyes make you look tired and unattractive. Our unique Total Eye Rejuvenation treatment regime is designed by doctors, exclusively for rejuvenating tired eyes to make your eye areas look attractive and radiant. Pigmentation, such as freckles and melasma, is one of the most common skin problems. Laser treatment remains as the most popular treatment for facial pigmentation. Lunch time quick fix laser facial designed to tone your skin, remove pores and pigments and give you a radiant face. It has no downtime. This is why laser facial is so popular. Why spend hours doing chemical facial when you can have a laser facial done within minutes with way better results? Come by during your lunch break for a quick and effective laser facial! Most popular treatment for both men and women. Our mole removal treatment is quick and effective with minimal discomfort. Come and discover why our clients over the years are so satisfied with this treatment! One of the most popular treatments for both men and women. Our highly experienced doctors have help thousands of clients achieve higher nose bridge for many years. Come in and discover how nose filler and thread lift treatment helps accentuate your facial features instantly. Male pattern hair loss (androgenetic alopecia) affects 70% of men and 40% of women at some point of their lives. It can be frustrating and embarrassing. This condition can be treated with Regenera Activa, a hair technology dedicated for hair loss and hair thinning. In combination with oral hair growth supplement, hair growth spray and/or low level laser therapy, Regenera Activa is a very suitable treatment for women and men who are not ready for surgical hair transplant yet. Deep cleansing, exfoliation, microdermabrasion and nutrient infusion followed by a quality hydrating mask. It is especially suitable for acne prone skin and acne patients. Speak to our doctors to find out more. Call us at 62350338.